I'm looking for a program that can record/grab spotify tracks (with ID3 info) and save them as WAV not MP3. Any idea if there is a way to download music from spotify so that one can play it offline on any device? There must be many people have same problem about how to record spotify tracks and save them as WAV, MP3, or AAC for offline use or transfer between different portable devices. 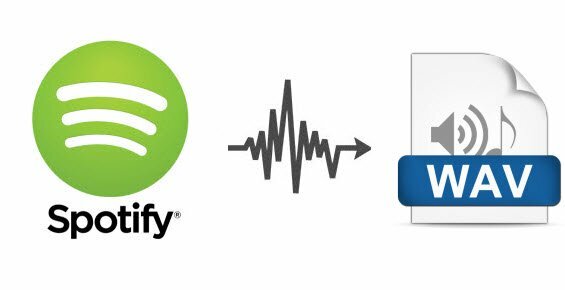 Here this article will share you an easy way to record Spotify music or playlists to WAV (Lossless audio format). In order to make sense of the difference between MP3 and WAV, you must know that what is the lossless music. Lossless music, refers to the sound file (parent file) obtained by lossless compression of music files, which is exactly the same as the parent file in terms of sound quality, and it is a complete digital copy of the parent file. MP3: MP3 is lossy compressed music file format. The reason for lossy compression is mainly to gain a smaller volume under the premise of moderately prejudicing to the quality, so as to facilitate network transmission and storage. Lossy music generally cut off the digital information beyond the range of human hearing, of course, for the pursuit of small size, there are also a large number of weakened quality music files. WAV: Currently, the most common and main lossless compression formats are APE, FLAC, WAV etc. WAV format is a sound file format developed by Microsoft, also called the wave sound file. it is the earliest digital audio format and widely supported by Windows platform and its applications. Strictly speaking, wav files are digital waveform recording of music CD discs. But as we all know, Spotify is the largest music streaming service platform, which provides genuine music. Due to the DRM protection, we can not stream music or playlists from Spotify to any device as you want. So if you want to record Spotify music to lossless WAV format, a third party tools is need to help you remove the DRM protection of Spotify music and record these files to WAV. Here Spotify Music Converter is highly recommended. What are te Features of Spotify Music Converter? 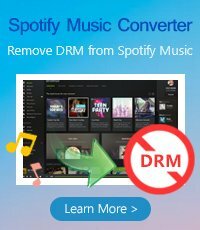 Convert Spotify Music to plain WAV, MP3, AAC. 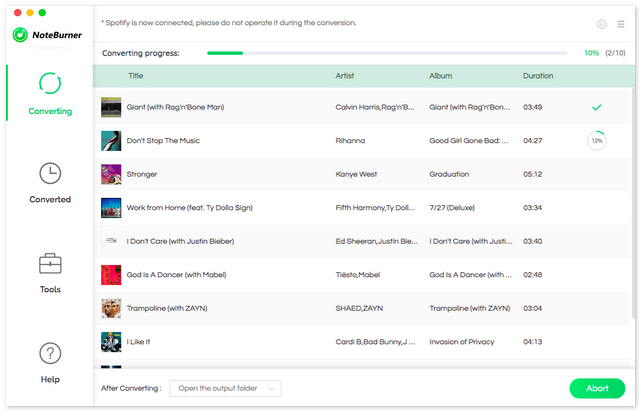 Convert Spotify Music with lossless quality. Easily retain ID tags like Title, Artist, Album and Genre. How to Record Spotify Music to WAV for Offline Use? 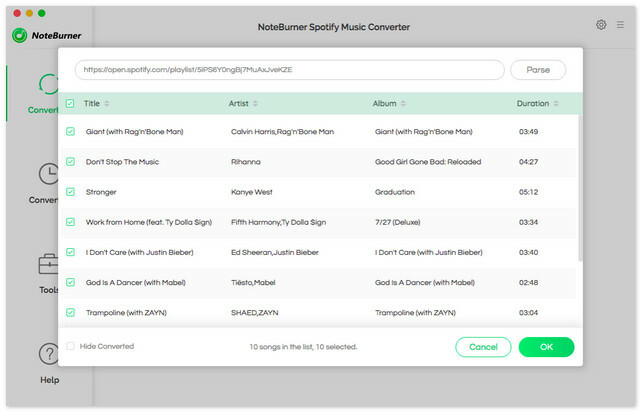 Click the button above to download and install the latest version of NoteBurner Spotify Music Converter. Mac OS X 10.9 or later are supported. After installing, click to launch this program. 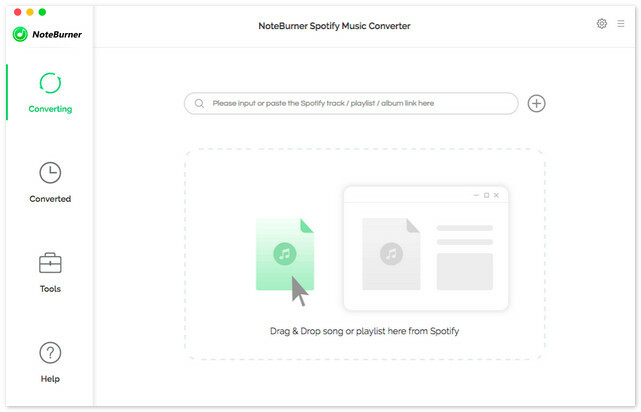 After launching NoteBurner Spotify Music Converter on your Mac, and Spotify will open with it automatically. Click "+" button on the top-left interface to open the add audio window. Then go into Spotify main menu to find tracks or playlist you want to convert, directly drag the tracks or playlist to NoteBurner add music window to finish importing. Click the Setting button on the top-right interface to set output format, output quality, conversion speed and output path. Here you can choose WAV as output format. 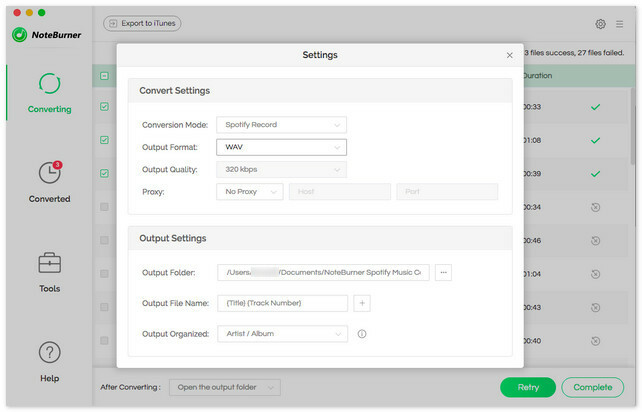 After finishing above setting, click "Convert" button to start converting Spotify tracks or playlists to WAV. After conversion, the output folder will open automatically. Or you can click the History button on the top-right interface to find the converted WAV music. Note: The free trial version of Spotify Music Converter only enables you to convert the first 3 minutes of each songs. To unlock this limitation, please purchase a license to upgrade to the full version.